For the first time in the history of gaming, we’ve received consoles that are more powerful, but still exist in the same generation. 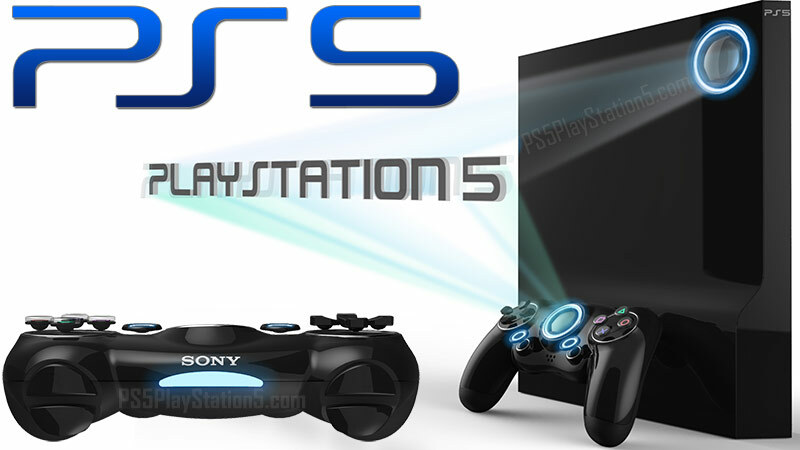 These iterative consoles are known as the PS4 Pro and the Xbox One X, and both of them have a similar focus: 4K resolution. You may remember the switch from standard to 1080p resolution, but is this the same kind of leap? Should we be focusing so much time and hardware on hitting 4K? 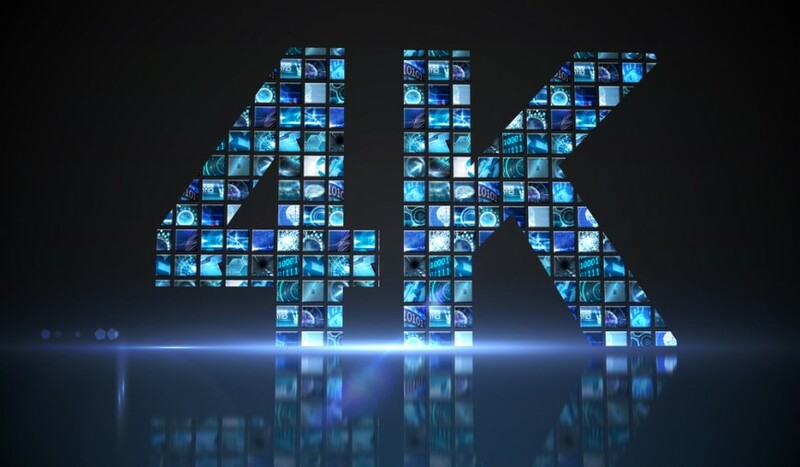 Join us as we look into the 4K obsession that is currently running through the industry, and why we should be focusing on other things instead. Resolution refers to the size of an image, and how many pixels are being displayed on the screen. It is written out as width times height. That’s why you see things like 1920 x 1080p when we’re talking about HD resolution. The “P” stands for progressive scan, which is a technique where each frame is drawn from stop to bottom on the screen during a single refresh cycle. When we get to 4K, the term isn’t completely accurate. It refers to an image that is roughly 4,096 x 2160, or exactly twice the height and width of the film industry’s 2K film standard. We also hear 4K referred to as “UHD” or “Ultra High Definition.” So, essentially you’re getting double the resolution of 1080p. If we do the math, a 1080p image gets 2,073,600 pixels when you multiply the height and width. Meanwhile, 4K gets 8,294,400 pixels, which is four times as many. That’s the math of it all, and it sounds impressive, but there’s one problem. We’re getting into so much fine detail, that we need to ask if this is even perceptible. Can you put an HD television and a 4K television side-by-side and really notice the difference? The answer, like most things in the world of technology, is complicated. Can We Actually See The Difference? Before we open up the playing field to other factors besides resolution, let’s look at how our eyes perceive something as detailed as 4K. With any resolution, there are three major factors that decide how much you notice the difference: your viewing distance, the screen size, and your personal vision. This chart shows the relative viewing distance and screen size you’ll need to notice different types of resolutions. For 4K, to get the best experience, you’ll need an 84-inch screen and you’ll need to sit about 5.5 feet away from it. Don’t want to shell out for something that big? In the realm of 4K, a 55-inch screen is considered “small” and if you want to appreciate the difference, you’ll need to sit 3.5 feet or closer! Your mother would be furious if you sat that close as a kid. If you’ve never measured how close you sit to your TV, research done by Bernard Lechner found that the average viewing distance of American TV viewers is nine feet. 4K is incredible, and it looks awesome up close. That’s because it offers unprecedented detail, but in the grand scheme of things, it’s not the revolution that we saw when televisions went from standard to high definition. It’s interesting and it’s certainly important, but my issue with 4K is that the game industry is treating it like the next revolution, when really it’s just the next buzzword companies are using to sell TVs. Let’s be honest, 8K is just around the corner. CES 2017 showed off real working 8K televisions. These monsters show images that have four times more pixels than 4K. It’s a resolution of 7680 x 4320, a total of 33,177,600 pixels! That kind of quantum leap provides a more noticeable difference, but it also still brings the need for larger and larger screens in order to truly appreciate the difference. So, while the industry is chasing the 4K rabbit, 8K is already around the corner. Instead of focusing on resolution, a small piece of the puzzle, we should be thinking about all of the ways the industry can improve the experience. I think we can all agree that, when it comes to the quality of a picture, resolution is not the most important factor. There’s so much more that contributes to the overall quality than just the number of pixels. The contrast ratio is perhaps the most important thing to consider. This is the difference between the darkest part of the image and the brightest. This ratio goes the farthest in making the image look and feel real. Many of the current 4K televisions are still LCD screens, which have a limited contrast ratio. Plasma screens and OLED offer much better contrast ratios, for example. In the end, a lower resolution with a higher contrast will offer a better image than a 4K image with low contrast. Right now, a lot of the 4K content people use is through streaming or cable. The reality of this, is that those images are compressed in order to fit inside the bandwidth of modern internet speeds. As a result, you’re rarely getting the 4K image you expect. When you use discs like blu-rays, the problem is alleviated for the most part, but compression is a far more important thing to consider when you’re using your 4K TV on things like Netflix or with your cable channels. Color is also incredibly important. That’s why things like High Dynamic Range, or HDR, are much more exciting than a resolution bump. To truly improve the color range, however, the industry will need to revamp how they capture images, and how televisions display them. While this would be a huge change, it would be a worthwhile change for television owners, and for the industry as a whole. Higher resolutions bring the need for bigger screens, but if the industry were to focus on these three things, it would offer more substantive benefits to everyone, regardless of how big their TVs are. We’ve seen the facts, and now we know how resolution plays into picture quality, but what about the games? Resolution in today’s modern games helps us appreciate the finer details that developers work so hard to achieve. This is all well and good, but just like resolution is a small part of a TV’s overall quality, so too is it a small part of the gaming experience. A simple example would be this: would you rather have a game that ran in 1080p at a smooth 60 FPS, or do you want a 4K game that chugs along and feels like it’s going to crash at any moment? It’s a stark contrast, but the point still stands. The overall quality and immersion matters most, not just the resolution. So, why then, is the industry so focused on 4K? It could be a bid to capture new television owners, but it’s missing the point of it all if you ask me. We just discussed this in the example above, but frame rate is a massive part of the gaming. We don’t always need 60, 120, or 240 FPS, but the higher the better. At the very least, we need stable frame rates that provide a clean and smooth experience. Unfortunately, we don’t always get that, especially when developers are pushing the resolution to hit that 4K goal. If you were to stop and ask gamers what they prefer, higher resolution or higher frame rates, I guarantee you that frame rates would win every time. Battlefield, Call of Duty, or Destiny just wouldn’t be the same if they chugged like a steam engine running out of coal. No amount of 4K would make that better. You need a stable experience above all else. Resolution offers sharper images with more detail, but the heart of a game’s graphics lies within the textures and the detail of the characters. We’re pushing closer and closer to photorealistic graphics, and that’s amazing, but we shouldn’t put this progress on hold for the sake of more pixels in the resolution. Gamers at E3 and other conventions will notice a boost in graphics and effects much faster than they will notice a bump in resolution. One of the biggest obstacles between the industry and graphics that mimic the real world, is lighting. The amount of hardware and technology needed to realistic portray light is a tall order. Even so, games have come close in recent years. Effects like light shafts and bloom have come a long way towards making our worlds feel real. It’s not just lighting either, we should also be focusing on real-world physics. Games have made incredible leaps and bounds in this aspect of the experience. Titles like Battlefield 1 have destructible environments that truly feel like warn-torn environments. We need to push forward on this front as well, maximizing the realism that our games can offer. Indie developers have proven that a game should be judged on the strength of its gameplay before you judge it based on graphics. The overall fun factor is the most important aspect of any game. You can have the best looking game ever, but if it’s not fun to play, then what’s the point? Minecraft, for all intents and purposes, is a very simplistic game from a graphical standpoint. Even so, it’s mechanics and gameplay have propelled it to the heights of gaming legends. Developers shouldn’t be pressured into making games in 4K, they should be letting their creativity shine through in new and exciting gameplay innovations. The industry needs new and exciting ideas, as it always has. The experience should be the sole focus. We’re a long ways from 4K VR headsets, but that really doesn’t matter. Anyone who has tried PlayStation VR or virtual reality in general can attest to the powerful experience it offers. Resolution is important here, like anywhere else, but being thrown into an entirely new world is a sensation unlike any other. We should be focusing on things like this that make our games more immersive and realistic than they’ve ever been. While VR may not take over for TVs, it’s still an important and exciting way to play games. We need to focus on exciting new technology like this as well, expanding the horizons of what games can offer. I’ve said my peace, but I want to know what you think! Cast your vote in our ongoing poll and let us know where you think the industry should be focusing its efforts. As you can see, it’s clear gamers care about 4K, but it’s not the only factor that they want. Things like stability and performance are just as important, if not more so, and we couldn’t agree more. Is 4K really the most important thing right now? Tell us with your votes and in the comments below!